The first thing I noticed when I walked into this year's Designer Show House was the COLOR! Not in your face, over the top color; beautiful, strategically placed, just-the-right-amount of color. What I love about this is how relatable it is. A well designed space has to be functional, but the icing on the cake that really ups the WOW factor is the aesthetics. 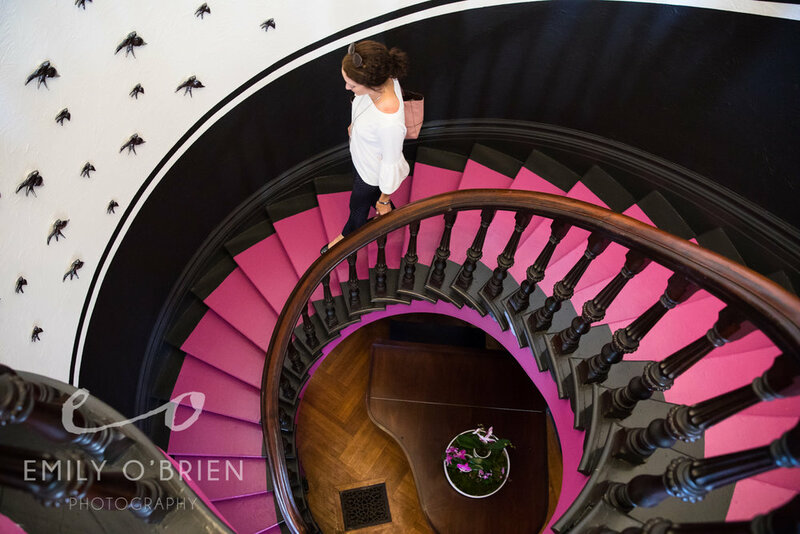 We first walked into this impressive pink foyer designed by Cutting Edge Homes. It was the perfect way to kick off the home. My friend Beth Daigle, of 3 Olives and a Twist, and I went to "press day" together, excited to get the first look. Before the ribbon cutting, I had the opportunity to photograph my friend and client, Kim Macumber's room. I was so excited for her and boy did she go for it - her green butler's pantry made this small space POP. 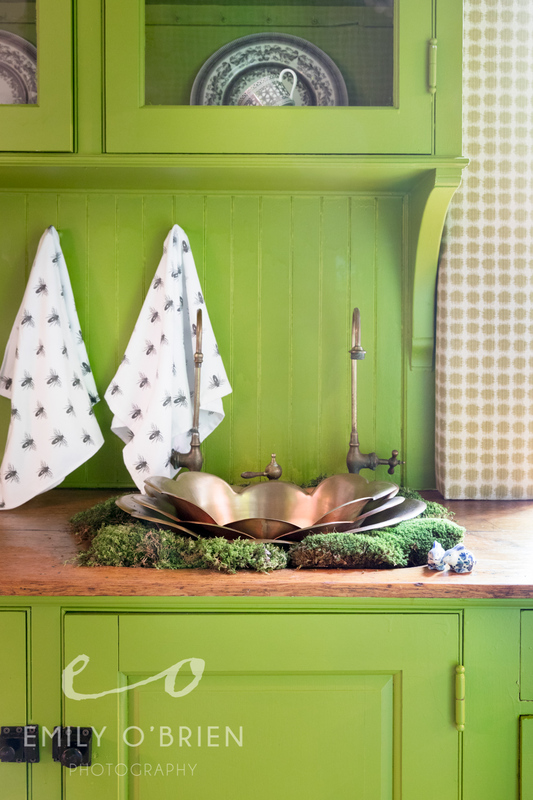 My favorite part was the moss-padded petal sink by Thompson Traders. Talk about green - THIS LIVING WALL. Can I have this in my home now please? Tess and Ted Interiors and Anavera Design worked together to make this room cozy, unique, and a one of a kind conversation piece. I don't think I'm alone when I say this room made me want to snuggle up with a blanket, book, and cup of coffee. 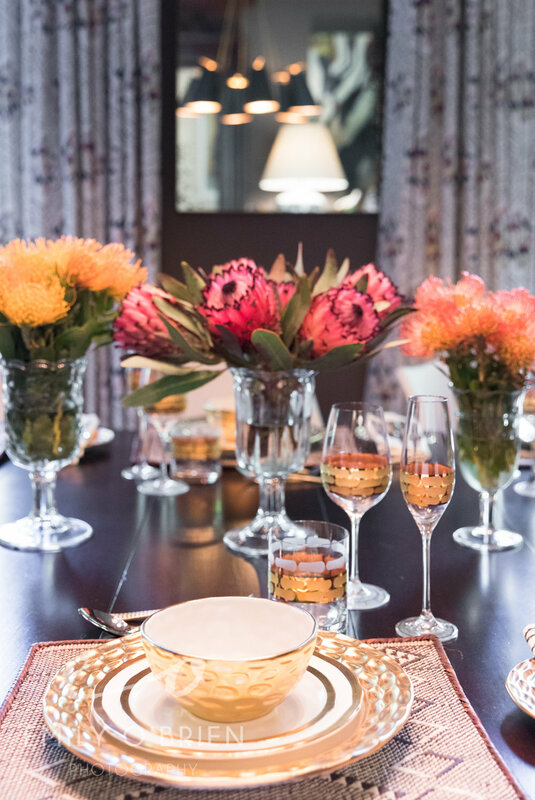 Mally Skok's colorful table setting in the dining room perfectly complimented the darker paint and hand-screened window treatments. Nostalgia hit home hard for me when I walked into this bathroom by Linda Lyons with wall to wall Dutch tile. I lived in Holland for 6 months and this was a great nod to traditional Delftware. The Designer Show House is a must see and put on by the Junior League of Boston. Visit from now until November 5.